Dubucand was one of the more talented of the Animalier sculptors. 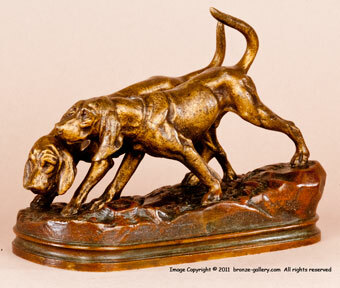 His bronzes of dogs, horses, birds, and wild animals were well detailed and life like. His hunting dogs and hounds are among his best work. 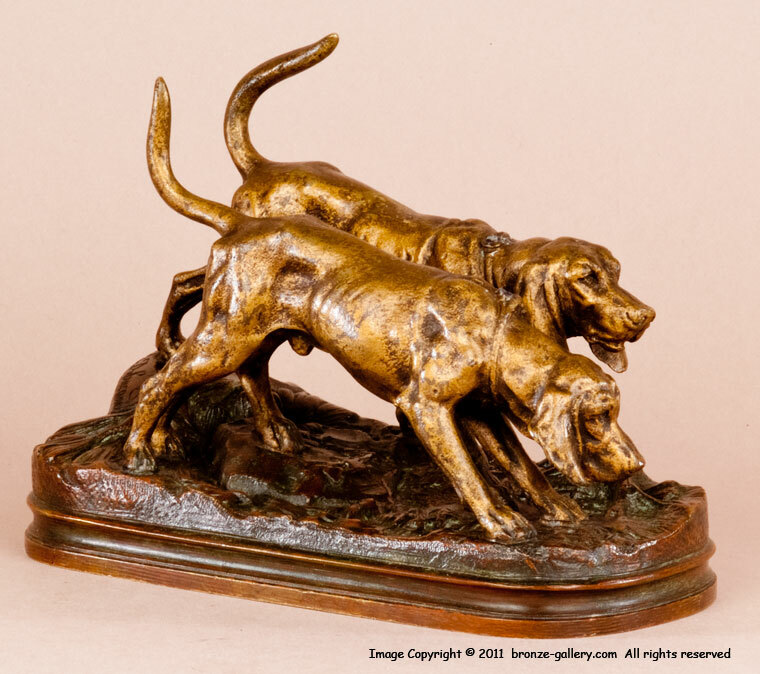 He sculpted two small pairs of Hounds and this is one of them. These Two Hounds are hot on the trail, one is scenting the ground and the other has his head up baying. The accuracy in both dogs' fur and muscles is superb, and the forest ground shows leaves, branches and rocks below the dogs. The Hounds have a soft golden patina while the ground they are on has a rich brown patina, such multicolor patinas are often found in Dubucand's bronzes.